Project done in collaboration with DataMade to showcase the collection of projects done in the GFRY Studio 2013-2014 at the School of the Art Institute of Chicago. Open source code at Github. 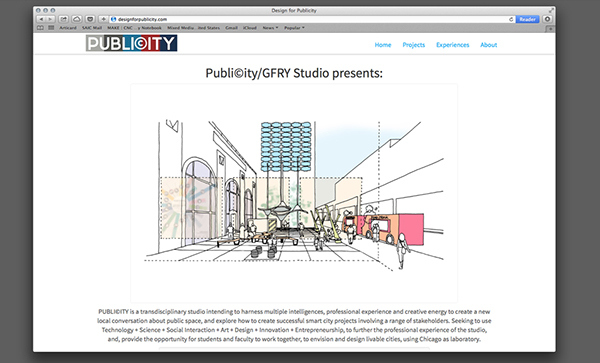 PUBLI©ITY is a transdisciplinary studio intending to harness multiple intelligences, professional experience and creative energy to create a new local conversation about public space, and explore how to create successful smart city projects involving a range of stakeholders. 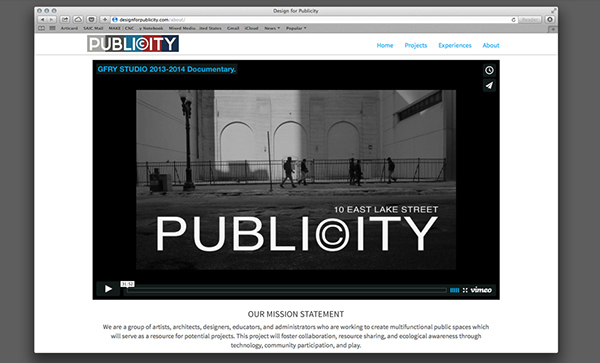 Seeking to use Technology + Science + Social Interaction + Art + Design + Innovation + Entrepreneurship, to further the professional experience of the studio, and, provide the opportunity for students and faculty to work together, to envision and design livable cities, using Chicago as laboratory. 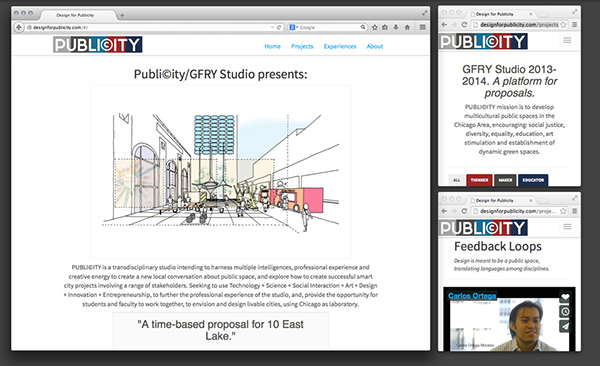 Project done in collaboration with DataMade to showcase the collection of projects done in the GFRY Studio 2013-2014 at the School of the Art Institute of Chicago.